We’re continuing an annual tradition in our blog by reminding you that October is National Breast Cancer Awareness month. 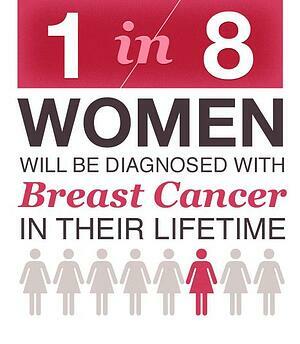 One in every 8 women in the United States will be diagnosed with breast cancer in her lifetime. We’re stunned at the number of people impacted by breast cancer and want to remind you to schedule your mammogram. The National Breast Cancer Foundation provided some great information that we are sharing below. In recent years, perhaps coinciding with the decline in prescriptive hormone replacement therapy after menopause, we have seen a gradual reduction in female breast cancer incidence rates among women aged 50 and older. Death rates from breast cancer have been declining since about 1990, in part due to better screening and early detection, increased awareness, and continually improving treatment options. Want to be a part of the action! Join the Houston Komen Race for the Cure on Saturday, October 6, 2018. For registration and race information click here. We hope that you will join us in reminding those close to us to schedule that mammogram. ©2018 Dean & Draper Insurance Agency All Rights Reserved.